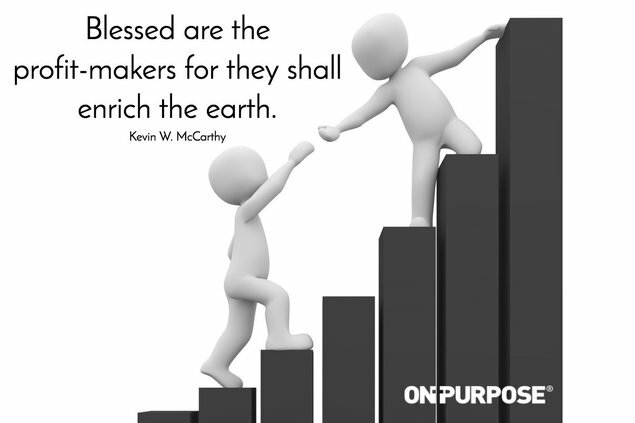 Kevin W. McCarthy pioneered the conversation about purpose starting in the late 1980s. 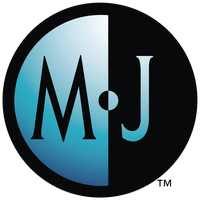 His books The On-Purpose Person (1992, 2009) and The On-Purpose Business Person (1998, 2013) provide readers a fully integrated life–work approach. 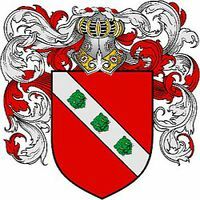 Kevin holds an MBA from The Darden School at the University of Virginia, and a BS in Business and Economics from Lehigh University. Why America's Chief Leadership Officer? Leadership is ageless and essential, but an underdeveloped competency in the Digital Age and beyond when most needed. It is deeply personal, yet profoundly expressive through businesses and organizations. And, it starts with purpose—the answer to "Why ...?" The On-Purpose Person The On-Purpose Business Person. Pioneering the purpose conversation started for me in the late 1980s and continues today as I speak, write, and consult. On-Purpose® is my approach; more importantly, it is my call to eradicate meaninglessness, articulate purpose and help people be on-purpose. I'm a long-time business owner with a classic business education and entrepreneurial experience, but a gracious iconoclast about Corporate America and business, in general. For all its services rendered there's a dark side of destruction and disengagement. On-Purpose affords us to profit the world and gain our souls! Chief Leadership Officer extends this message and directs to the influencers of today and tomorrow. Chief Leadership Officer challenges the previously unchallenged: the title, role, power, and posture of the CEO. Every business book being read today assumes a CEO-style led business. What if a CEO-led business is the problem and everything else is a symptom? I relate to profit-makers, those who build-out ideas, take risks, make decisions, engage teams, and responsibly make their greater contribution to others. My unique gift—where most see chaos or confusion, I see repeating patterns against an invisible framework called On-Purpose that makes it all make more sense. I'm a leadership and organizational development designer with decades of evidence that On-Purpose works, really well. And I'm a written and spoken word communicator who actually writes his own books. I am America's Chief Leadership Officer because we're heading into a new era—the Age of Purpose where leading trumps execution. The movement needs voice, a point person to cut the first path and invite others to follow and improve upon it. Prediction: CLOs will replace CEOs. Told you I am an iconoclast, who is preparing the leaders of tomorrow, on-purpose. Learn a bit more about being on-purpose below by watching this video produced by The Big Thinker Series. Success! 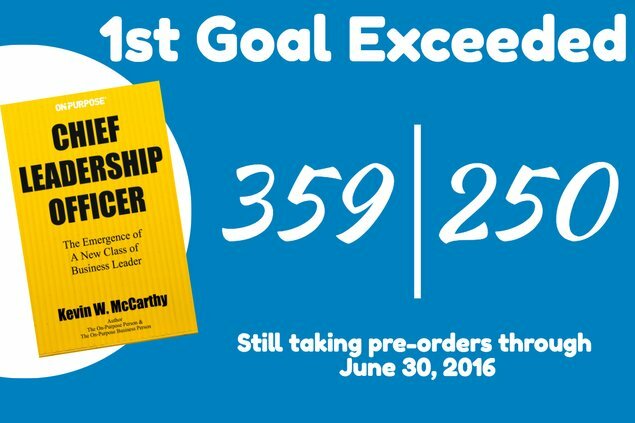 Chief Leadership Officer sold 379 pre-orders by July 1, 2016, was pitched to 34 publishers, and will be self published. "Yes, Kevin, I'm with you!" + Perfect for book collectors or gift giving. Receive a personalized and autographed book. + Curious about being a CLO? Come to the CLO Foundry–the place to fashion your CLO talent! Learn first-hand from Kevin W. McCarthy for a 45-minute interactive, Angel Investors only seminar and Q&A via a live video conference. No questions will go unanswered! + Engage Your Small Business Leadership Team. Receive 5 autographed books. + Come with your team to the CLO Foundry–the place to fashion your CLO talent! Learn first-hand from Kevin W. McCarthy for a 45-minute interactive, Angel Investors only seminar and Q&A via a live video conference. No questions will go unanswered! + Awaken Your Leadership Team to the CEO to CLO transformation. Receive 10 autographed books. $300 + Surely You Know 12 Business People? + Surely you know a dozen people who can benefit from reading Chief Leadership Officer? Buy a dozen and you'll receive a live 20-minute video private conference for them plus a copy of the book for yourself. Let Kevin W. McCarthy introduce them to the idea of being CLO-led organization. 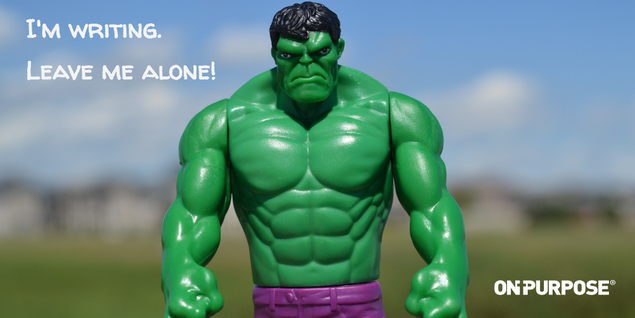 + Need some one-on-one leadership coaching? Live 60-minute CLO Foundry Coaching Session with Kevin W. McCarthy for a business partner/spouse and you. Receive 2 personalized & autographed books. + In the Start-Up phase? Join up to 25 of your peers for a 3-month membership to live video small group series with Kevin W. McCarthy. 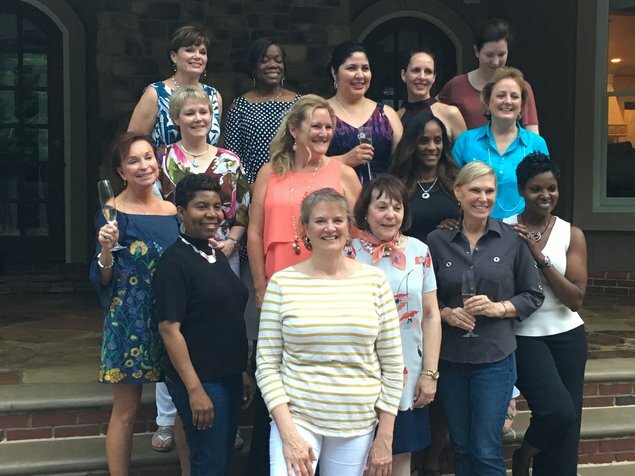 Get started being a CLO! + Already a CEO? Ready to become a CLO. 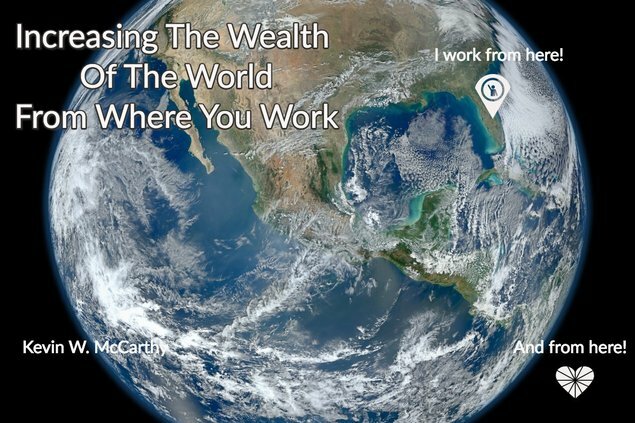 Join up to 12 peers for a 3-month live video conference series with Kevin W. McCarthy. Once a month for 3 months you'll be on a 90-minute CLO Roundtable to go deeper with making the transition to CLO. This reward is for one person's membership in a peer group for 3-months. + You get it! You know you can't be a CLO alone so you want to seed your circles of influence with the Chief Leadership Officer message. Along with 100 copies of Chief Leadership Officer, you're also down for a private 60-minute video-conference session and a private leadership coaching session with Kevin. You'll also receive special mention in the Acknowledgment section of the book. Shipping for books will be billed separately. + Maybe you direct an association or large company. You get CLO big time! You're on board to champion the CLO movement on a larger scale. Along with 250 copies of Chief Leadership Officer, you'll get two private 60-minute video-conference session and two private coaching sessions for use with your members or yourself. In addition, you'll get special mention in the Acknowledgments section. + You're Awesome! At this reward you move from Angel Investor to The Heavenly Host of Angel Investors. Do I really expect anyone to invest in this 1,000 book reward? Yes! For the right leader, the ROI will be remarkable! You'll receive 1 full year of high access leadership coaching to help you make the very full transition from CEO to CLO! Embark on a hero’s journey from Chief Executive Officer-to-Chief Leadership Officer. This easy-reading story walks you into the future of business leadership. Learn the CLO precepts and practices to embrace the promise of being an authentic business leader. Regardless of whether you're an entrepreneur or CEO, you'll want to be a part of this truly profit-making business renaissance. For over six decades a tenet of business leadership has remained unchallenged? Nearly every business book you've read, every consultant you've hired, and every workshop you've attended is based on a business being run by a Chief Executive Officer. These two simple directives working in unison as iron sharpens iron (http://on-purpose.com/clo-people-leaders-2/) they elevate the performance, profitability and service of the people and the organization. CEO is a relatively new term that rose to prominence in the 1950's. The days and ways the CEO are increasing out-of-sync with societal progress. 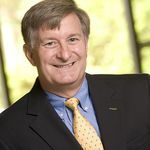 The Chief Executive Officer is becoming symbolic of an antiquated title, mindset, and job description that is in adequate for modern business, individuals, society, and organizations–and getting worse by the day. People in this present Digital Age and emerging Age of Purpose deserve better and expect more from their leaders. But, the CEO-run business is an Industrial Age relic occupying the highest corporate office and the final holdout from organizational innovation. Most every CEO and employee is unwittingly compromised in an diminishing management system. All are admitting there must be a better way but accepting incremental improvement as progress. Until now there has never been available a break-away, full-throated alternative like Chief Leadership Officer. Chief Leadership Officer, the book, is a fast-reading narrative that asks and gets to the heart of the matters above... and more. The book is a harbinger that today nominates CLOs to replace CEOs as the top officer in companies so they can be positioned for tomorrow. Being a Chief Leadership Officer (CLO) is the career path of the forward-looking CEO or start-up entrepreneur who aspires to be true to the calling of leading oneself and a company built upon purpose and profit. Chief Leadership Officer provokes a quest for business leaders, from entrepreneurs to CEOs, to embark on a hero’s journey to become a CLO. The purpose, precepts, and promise of CLOs as the emerging class of business leaders is robustly relevant, productive and profitable for all who embrace this high and noble call. Chief Leadership Officer respectfully pierces the inner world of CEOs, challenges widely held norms, and calls for self-interested reflection. Every line item of the financial statements and person in the workplace will be touched. * Employees will ask: Am I working for a CEO or a CLO? * CEOs will ask: Will I be a Chief Leadership Officer? Chief Leadership starts a movement and invites an open conversation. Let the modern business renaissance begin! Chief Leadership Officer is a strategic story with its pulse on the contemporary culture, especially as the Millennial Generation populates the workplace. The book draws from the past to inform the future. Therefore, the narrative opens in the year 2030 but immediately takes the reader to the year 2020. Pops, a 100-year-old great-grandfather, and his great-grandchild share bloodlines and a love of business. 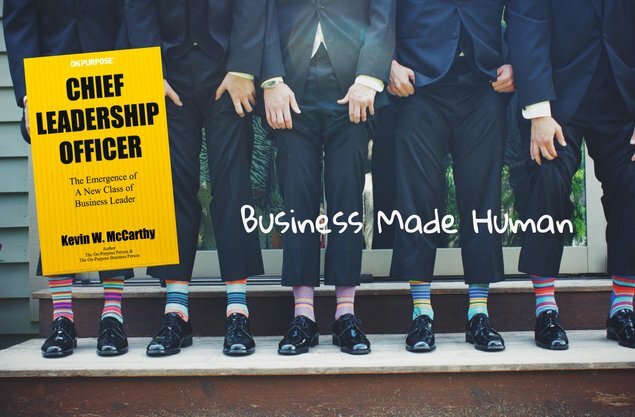 Each chapter of the book, therefore, is alive with poignantly concise narration and dialogue designed to engage the reader in the why, what, and how of being a Chief Leadership Officer. Readers are expected to be busy entrepreneurs, business owners and executives who want a congenial measure of entertainment along with the direct delivery of substantive content. The story line provokes readers to go deeper into their lives so they can go higher with their businesses. The content is rich with precepts in support of the CLO-led organization. * CEO is a title representative of the Industrial Age mentality and methods. For businesses to thrive, people must thrive. A day of reckoning is coming! 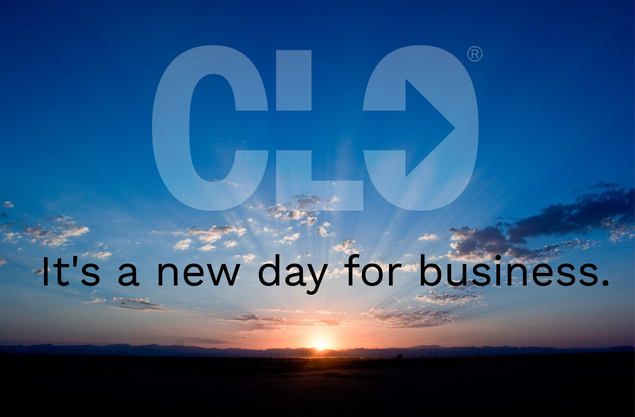 * CLO is the title representative of the Age of Purpose in which people and profits go hand-in-hand to create prosperity. * The role of a CLO will be to: (1) position the business to be a leader in its field; (2) position people to be leaders in their life and work. Chief Leadership Officer will stir controversy and stimulate conversation about what it means to be a leader. Defensiveness may rise in many corner offices as an iconoclastic mirror is held in the face of many a CEO. Entrepreneurs, especially Millennials, will breathe a sigh of relief that, in fact, thereis a healthy alternative way to lead; and they are not alone. Hopefully all readers will realize that we who live, lead and work can do better ... better for ourselves, our stakeholders, our businesses, our team members, and our communities. Everyone can win! The book is currently being written so the following Table of Contents is subject to change. Correction: it will change! Section 1: Why Am I A CEO? 6. What is Different About Society? 8. Why Does a Business Exist? 10. Leaders: Made or Born? As has been my book style, each chapter opens with a quote designed to provoke the reader while complementing the contents of the chapter that follows. Significantly, many of my quotes are from Industrialist who may very well have grasped the greater good of their work, but were locked in different times and different circumstances. Small to mid-market CEOs who find a moderate to high measure of dissatisfaction with their current mode of management and business performance. They will recognize the opportunity to make the shift to a CLO model but will have some convincing to do within their management team. Forward-looking CEOs and C-Suite executives of multi-national and Fortune 2000 companies who relish the opportunity to prepare the next generation to lead. Chief Leadership Officer has the potential to be a seminal work in the business world and beyond. This is a book that others will assimilate and build upon for generations as the pivotal book that challenged a widely held CEO standard and elevated the conversation and possibilities for generations into the 21st Century. Whereas The On-Purpose Person (1992) was 25 years ahead of its time, Chief Leadership Officer is right for today (even though it too is forerunner). The author has learned lessons, built a following, and is prepared to invest the time necessary to promote this important message and movement of leadership. This is a timely topic. Since October 1, 2001, the author has owned the domain name ChiefLeadershipOfficer.com in anticipation of the right time to publish. During those 15 years the concept has been quietly assessed, tested, and monitored for validity. Being a CLO is not a fashion statement, but a thoughtful and substantial solution to many of the business world ills. This book is truly decades in the making. * Kevin W. McCarthy, the author, is a respected, long-time member of the National Speakers Association. He has a warm and authentic presence on stage and on camera. He is a capable spokesperson and likeable personality to carry the CLO message. 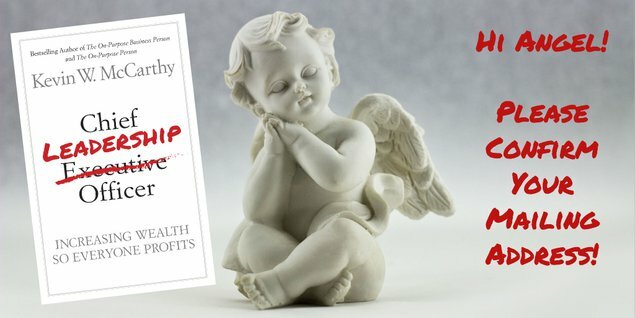 * On-Purpose.com has 4,400+ subscribers to The On-Purpose Minutes, a twice weekly free subscription to 1-2 minute videos on personal and business leadership. * Ownership of the ChiefLeadershipOfficer.com domain name and others. * The book is a product line extension of On-Purpose so the incentives are high to see this book succeed. * Kevin W. McCarthy has an extensive network of fans and possible endorsements (see list below). * Anticipating the need for executive coaching and personal leadership development, On-Purpose Partners can rapidly retool to create the CLO Foundry, a learning "place" to help CEOs becomes CLOs. * LinkedIn first connections: 2,781 as of May 19, 2016. * Facebook friends: 1,839 as of May 19, 2016. 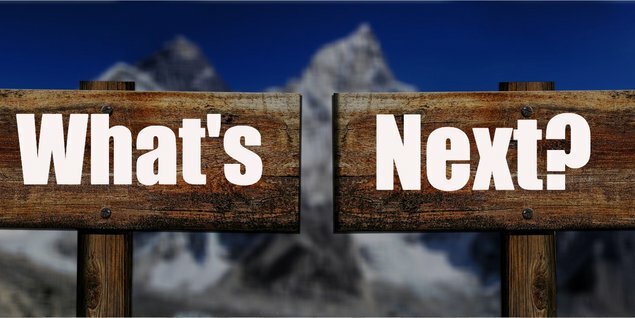 * Guest blogging strategy (see sample: http://leadchangegroup.com/chief-leadership-officer-disrupting-the-ceo-status-quo/) http://chiefleadershipofficer.com/ ... includes a section called CLO Foundry as a learning place for those who aspire to be CLOs. * Leverage On-Purpose Minutes subscriber email list to promote the book. * Kindle free give-away for 5-day promotional period at an appropriate time. * Release of articles to key business outlets. * Traditional PR–talk radio interviews primarily. * Social media strategy, primarily focused on LinkedIn audience. * Periodic offering of "CLO Forums" open to the public. A list of over 30 authors, CEOs, and College Presidents is available upon request. To protect the privacy of those relationships they are not shown here. The title of CEO has never been challenged as being out-of-sync with business performance and society.Therefore the book is a new category so editorial it has no peers for comparison. The speed of assimulation is the great unknown and why a marketing partners with author and publisher is essential to accelerate penetration and popularity. Something like CEO is so widely accepted in use can't be changed from the outside. The transformation will have to come from within the ranks of emerging business leaders and existing CEOs for a more immediate impact. Long term, a new generation of leaders will eventually emerge who embrace it and will make it the norm. Now is the time for innovation to finally hit the highest officer's desk. Words and titles matter because they inform and form attitudes, behaviors, points of view, and, ultimately, decisions. The job description of CEO falls short of serving the company, shareholders, and our society in a productive and positive manner. The following books accept the CEO-system of management and work to improve it from within its limitations. The above bestsellers have lagged the On-Purpose series by 10 to 25 years. Each in its own way hints to and resonates with Chief Leadership Officer but addresses symptoms rather than cause. Chief Leadership Officer provides a focal point of reference for these works by providing capstone content and concepts to awaken and inspire a new form of leadership for today and tomorrow. Chief Leadership Officer is a forward facing book that will ring true in the ears of today but will also take time to assimilate into business and society. This message has a seismic shift potential for private sector organizations as well as non-profit organizations. The books above, however, are still the product of a passé paradigm of leadership that is based on command and control (execute) versus engage and integrate. Each author tends to point out aspects or niches of challenges and presents contextual fixes but miss the big picture. It is comparable to when Microsoft Windows was running on the DOS platform—it worked at one time, but after a while it wasn't so helpful and needed to be revamped from the ground up. Chief Leadership Officer is more like the introduction of the Apple OS that is geared toward people-friendly technology—it is a truly different way of being, seeing and doing business leadership. Chief Leadership Officer addresses the greater gestalt of leadership as opposed to cherry picking bits and pieces within the present approach. Technique has its place, but what’s needed is a new leadership approach to replace the old. This book births the movement! Thank you for your patience and investment in creating Chief Leadership Officer!Your books are in the mail! Yesterday morning (January 14, 2017) I finished the re-write of my first draft. Whew! Since the close of the campaign, I've been diligently writing on Chief Leadership Officer plus talking with potential publishers. A True High Point for Chief Leadership Officer! Exciting news! As of this morning, we've broken through to 25% of the minimum goal. Thank you! on June 1, 2016, 1:06 a.m.
Can't wait to read this insight into the future of leadership from you! Cheers on your success. 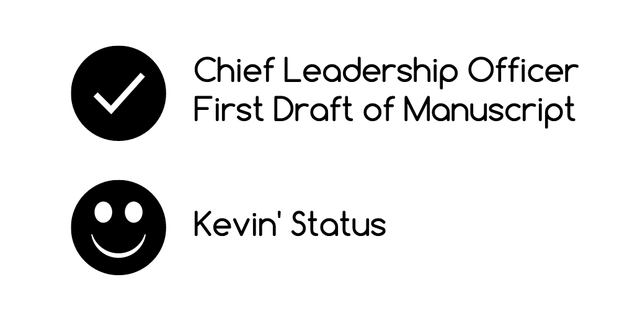 on June 1, 2016, 12:10 p.m.
Love Kevin's work within his On-Purpose materials, can't wait to be one of the first to read the next in the series...Chief Leadership Officer! on June 1, 2016, 1:09 p.m.
on June 1, 2016, 1:14 p.m.
on June 1, 2016, 1:42 p.m. I'm looking forward to reading the next big On-Purpose adventure! Thanks for the opportunity to be an On-Purpose investor in what you are creating, Kevin! on June 1, 2016, 1:56 p.m.
on June 1, 2016, 2:54 p.m.
on June 1, 2016, 7:26 p.m.
on June 1, 2016, 11:19 p.m. I am so grateful to have learned of Kevin McCarthy and his extraordinary programs, publications, and resources for "making your life make sense" including his books The On-Purpose Person and The On-Person Business Person. As a Community Economic Development specialist, I am excited about how Kevin's new book and the wisdom it presents on how to serve as a Chief Leadership Officer can help shift the world of business into a more positive, productive, beneficial influence that can help resolve the social, economic and environmental challenges we face. I believe CLO will become at least as influential as Robert Greenleaf's contributions for Servant Leadership and Rick Warren's works on The Purpose Driven Life. Please visit Kevin's book launch campaign and place an advance order if you resonate with his mission of "helping change the trajectory of business in society for generations to come." on June 2, 2016, 3:54 p.m.
May God Bless His Vision in your new book. You are a Blessing to the body of Christ! on June 2, 2016, 6:13 p.m. I am excited to read your newest endeavor. I have enjoyed ALL the previous books and tried to let them influence my daily life. Thank You Kevin!! on June 4, 2016, 3:42 a.m. Thanks all for your well-wishes for this new book. It holds great promise to set a new course and conversation about the role of business in society. Your trust and investment is so appreciated. 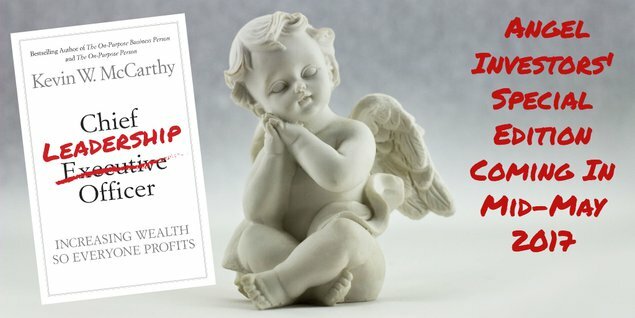 Be sure to download the first few chapters here: http://on-purpose.com/clo-preview/ Share the PDF freely. on June 4, 2016, 5:53 p.m. 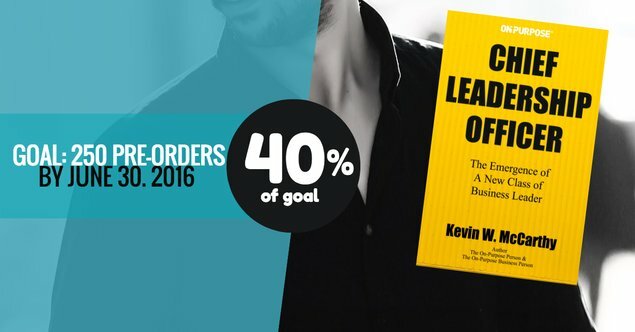 Looking forward to reading Kevin's latest book on leadership. on June 7, 2016, 9:40 p.m.
on June 10, 2016, 7:37 a.m.
on June 14, 2016, 12:19 a.m.
on June 21, 2016, 1:26 p.m.
on June 21, 2016, 5:27 p.m.
on June 26, 2016, 4:33 p.m.
CONGRATULATIONS! You are not only the Global Ambassador of and for On Purpose Living and Business and now Chief Leadership Officers, you are an amazing role model and mentor. Thank you for introducing me to this platform and for the privilege of watching how successfully you are utilizing its capabilities. Congratulations and thank you to Guy and Lee also. . .
on June 27, 2016, 12:51 a.m.
Hi Kevin, congratulations on this new book, and looking forward to reading more chapters ! 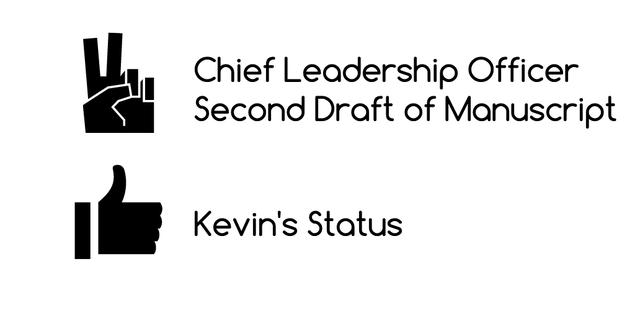 on June 27, 2016, 9:40 p.m.
CONGRATULATIONS Kevin to you and to High Point University for becoming an Academic Sponsor of Chief Leadership Officer at the Keynote Sponsor level! Dr. Quebin is obviously already serving as the Chief Leadership Officer of HPU bringing thought leaders and cultural influencers from across the world to the High Point University campus to share their ideas, insights and experiences with students, faculty, staff and guests. "Dr. Qubein seeks to create an atmosphere for discovery and dialogue to prepare students for the world as it is and as it will be. HPU seeks to graduate not job-takers but job creators who work hard and smart enough, who can do amazing things with their lives and can touch the lives of millions." 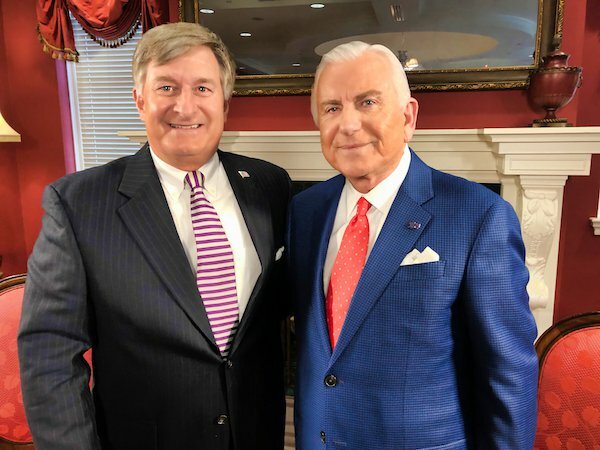 And how appropriate that YOU sir are being added to the innovators interviewed by Dr. Qubein including Seth Godin, Steve Wozniak, Tom Brokaw, Malcolm Gladwell, General Colin Powell and more. Congratulations again you and Dr. Qubein! on June 27, 2016, 10:18 p.m. Thanks for all the kind comments everyone. This book can make the business world a better place and, in turn, make the world a better place. It is a team effort, however, so we're just getting started!